töötab enamuse teleripultidega, 4K läbilaskevõime,HDMI 4 tk. JBL’s ultimate splashproof portable speaker with ultra-powerful performance and comprehensive features. A signature part of our new 10-piece JBL Studio 2 loudspeaker series, the Studio 290 has been tested relentlessly in the world’s most advanced sound research lab – our own – as well as pitted against competitors in real world comparative listening studies. Braced enclosure with Slipstream rear-firing bass port. We braced the loudspeaker’s interior from edge-to-edge in order to minimize cabinet flexing, and eliminate bass distortion. We knew it was time again for us to redefine the future of sound. That’s why we designed a new floorstanding loudspeaker that reaches far beyond what competitors can only grasp at: our new JBL Studio 270 3-way floorstanding loudspeaker. Studio 220 bookshelf speaker was built to speak the languages of both legacy sound and forward-thinking technology. Home theater listening should never be anything except riveting. That goes for everyone listening to a movie, TV show, or console game– even if they’re seated way off to one side. CS68 offers great 2.1-channel sound through two 2-way satellite speakers with dual 89mm midrange drivers and 13mm titanium-laminate dome tweeters, along with a 125-watt, 200mm subwoofer. CS 460 is a 5.1 system comprising four 2-way satellites with 89mm midrange drivers and 13mm titanium-laminate dome tweeters, a dual 89mm, 2-way center channel speaker and a 125-watt, 170mm subwoofer. CS680 is a 5.1 system with four 2-way satellites and a 2-way center channel speaker featuring dual 89mm midrange drivers and 13mm titanium-laminate dome tweeters, and a 125-watt, 200mm subwoofer. ﻿JBL Cinema Sound™ Powered system CSP430 is a complete, integrated home theater system that includes a compact receiver/DVD player with an elegant black- and silver-finish and advanced features to deliver spectacular picture quality. The 5.1 loud-speaker system in the CSP430 features new, totally distinctive styling, with unique curved enclosures finished in Satin Black and accented with chrome top and end caps. The CSP430 offers High-Definition Multi-media InterfaceTM (HDMI®) connectivity with built-in video processing to 720p or 1080i; playback compatibility with DivX®-encoded video discs; and USB ports that enable connection to a computer. JBL Cinema Sound™ CSP630 is a complete, integrated home theater system that includes a compact receiver/DVD player with an elegant black- and silver-finish and advanced features to deliver spectacular picture quality. The 5.1 loudspeaker system in the CSP630 features new, totally distinctive styling, with unique slim and tapered enclosures finished in Satin Black and accented with chrome top and end caps. The CSP630 system offers High-Definition Multimedia Interface™ (HDMI™) connectivity with built-in video processing to 720p or 1080i; playback compatibility with DivX®-encoded video discs; USB ports that enable connection to a computer. JBL® Cinema Sound System CSP1550 is a complete, integrated home theater system that includes a compact receiver/DVD player with an elegant black- and silver-finish and advanced features to deliver spectacular picture quality. The CSP1550 5.1 loudspeaker system features sleek, slim-design floorstanding towers, a center channel loudspeaker with rich metallic-silver enclosures and a 250mm (10"), 150-watt powered subwoofer. 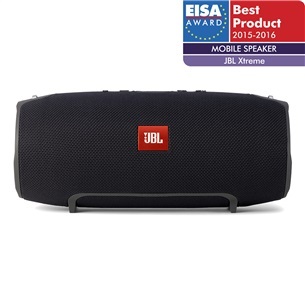 The JBL Cinema Sound CSP1550 system offers High-Definition Multimedia InterfaceTM (HDMITM) connectivity with built-in video processing to 720p or 1080i; playback compatibility with DivX®-encoded video discs; and USB ports that enable connection to a computer.